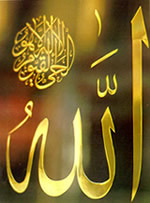 First: Allah’s existence is everlasting and eternal. Theexisting thing is conditional on non-existence that precedes or succeedsits existence, hence it is imperfect. People usually call the human beingwhose lifetime is long kabeer, so if the person who lives for along but limited lifetime is called kabeer, then He, Whose existenceis eternal and permanent, Who is everlasting must be called AL-KABIR,that is, the GREAT above all. Second: Allah’s Existence is the existence from which every existence is derived, therefore, He is the Eternal Originator, the Most GREAT, Praise and Glory be to Him, He is Allah.